War is a racket. 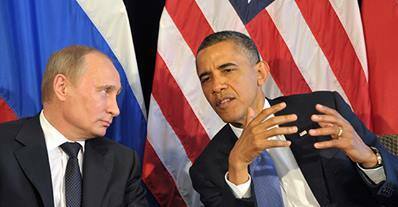 Obama and Putin are on the same ideological side…they both actively work against liberty on behalf of cronies. They are both dedicated socialists. They were both elected by corrupt voting and political processes. Both run their country by executive order, disregard laws, and manipulate their people through the press. They share more in common than they differ. Crimea is defined as an autonomous region of Ukraine. Autonomous means self-governing; independent; subject to its own laws only. The Crimean people VOTED overwhelmingly to re-join with the Russian nation. Let them learn from their own mistakes. According to our Declaration of Independence, the people are sovereign and they have the right to overthrow their government. People have the right to determine their own government. The U.S., NATO, EU and Russia should not interfere. Crimea, Ukraine, Syria, Iran, Libya, Egypt, etc, these are not our battles. Our founders strongly recommended that America not become involved in such international affairs, wisely recognizing that democracies do not do well in wars of international intrigue and empire. America must get back to that heritage. I am not endorsing isolationism. I reject international meddling, regime change, undeclared drone wars and assassination, pervasive spying, and the global debt regime of international banking and supranational organizations. I endorse a strong national defense. Making the world safe for petrodollars is not national defense, it is crony defense. According to this official 2010 report from the Pentagon, “Base Structure Report, Fiscal 2010 Baseline,” the U.S. has 662 overseas bases in 38 foreign countries; this is not peace making, this is empire building, “We the People” reject empires and empire building. I stand with Major General Smedley Butler, President Dwight Eisenhower and many others.